Owner/Operator Blu Graham is that rare local guy who knows all the secrets of the Lost Coast area—and shares them with you. Born and raised on the Lost Coast, Blu did his first hike at age 9. He’s spent decades exploring Northern California trails and towns by motorcycle, truck, and foot. Fluent in Spanish, he also taught scuba diving in Venezuela for 4 years, then returned to open Lost Coast Adventure Tours in 2011. It’s been a wild, beautiful ride for hundreds of happy adventurers ever since. In the 2016 season alone, Blu and his staff hiked over 350 miles on the Lost Coast trail, and expect to do so in 2017 again. Our drivers and guides train intensively with Blu and live locally, so everyone who books with us gets an insider experience found nowhere else. 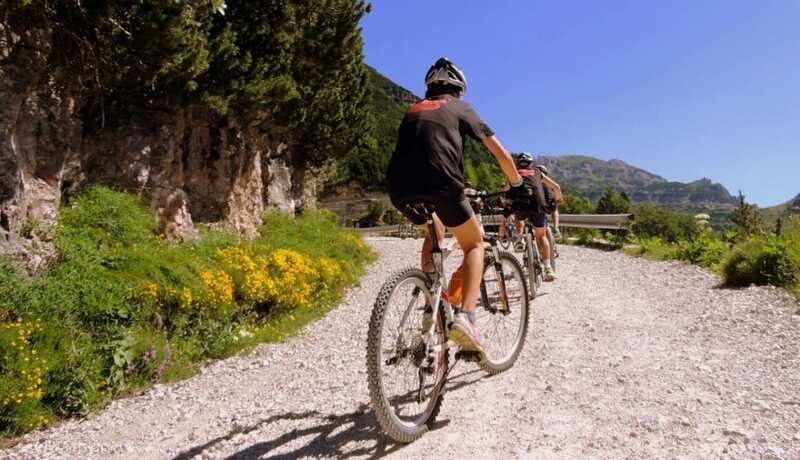 We follow and carry all the equipment for cycling groups, dual sport motorcycle rides, and more. No stress. Why drive 60 miles over 2 hours on bumpy, windy, unfamiliar roads? Our drivers know the best ways to navigate the terrain and back roads. You’ll arrive relaxed and ready to hit the trail. We tell you all our trail secrets. 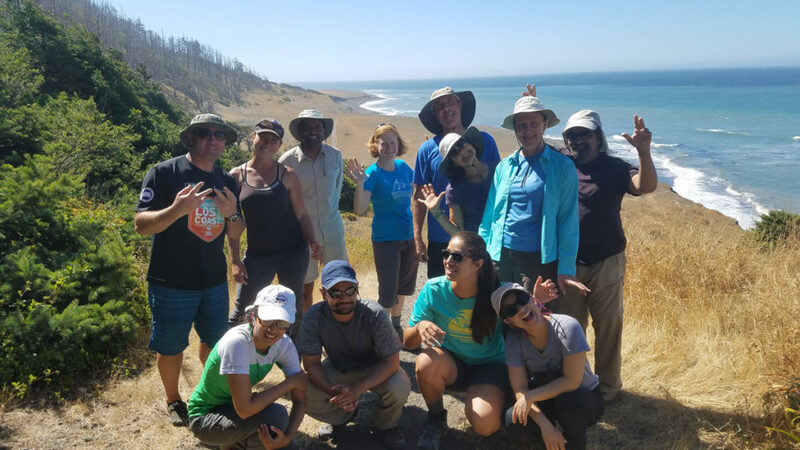 You get decades’ worth of fun, interesting, unusual knowledge in just 2 hours: secluded beauty spots, the best sites for wildflowers or whale-watching, expert safety tips, and all your trail questions answered. You’re safer with us. Driving on your own is riskier than usual: There’s no public transportation or cell phone reception. With us, you’re completely taken care of. The wild beauty people rarely see. We take you through scenic, hidden parts of Northern California that only the locals know. It’s a spectacular prelude to your Lost Coast adventure. Don’t wait ‘til you’re at the trail’s end to request a ride. Our seats fill up fast, especially from May to September. Born and raised on the Lost Coast, Blu had a passion for adventure at a young age. From exploring on trips with his family out of the country to places like Australia and Venezuela, to secret swimming holes in Humboldt County, he has always loved the outdoors. You can guarantee he will jump in the water almost any time of the year. 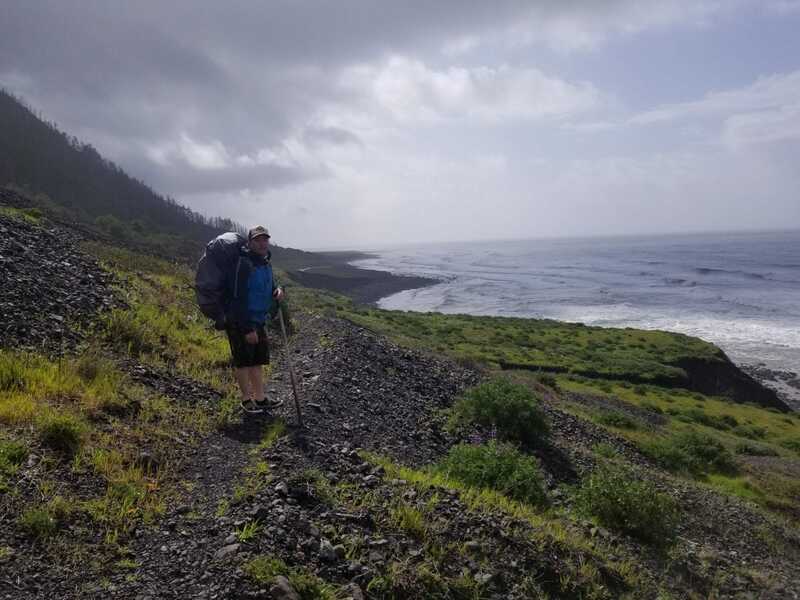 He has lots of experience in the backcountry and knows every inch of the Lost Coast Trail. He has been guiding for REI in addition to running Lost Coast Adventure Tours for several years. He is a great storyteller with lots of knowledge about the history of our beautiful area. He is a certified wilderness first responder with a background in first aid and fighting fires as the chief of Whale Gulch Fire Department. A Humboldt County local, who grew up in the town of Ferndale. Mishka has a Bachelors degree in Recreation Administration with an emphasis in Outdoor Adventure. Her love for the outdoors began on a baseball diamond, and during a softball career at Cal State East Bay she sought a path that fit her lifestyle. She began guiding in the educational field at Humboldt State University as an assistant instructor. She loves to teach backcountry skills and prefers building a tarp shelter to carrying a tent. Some of her favorite memories include being an instructor on an eight day expedition to Death Valley and building quinzees to sleep in on Mt.Shasta . She has experience working with Blu as a guide on the trips for REI and is a certified wilderness first responder. It’s All Waiting for You. Here are just some of the splendors our Lost Coast adventurers enjoy throughout the season. 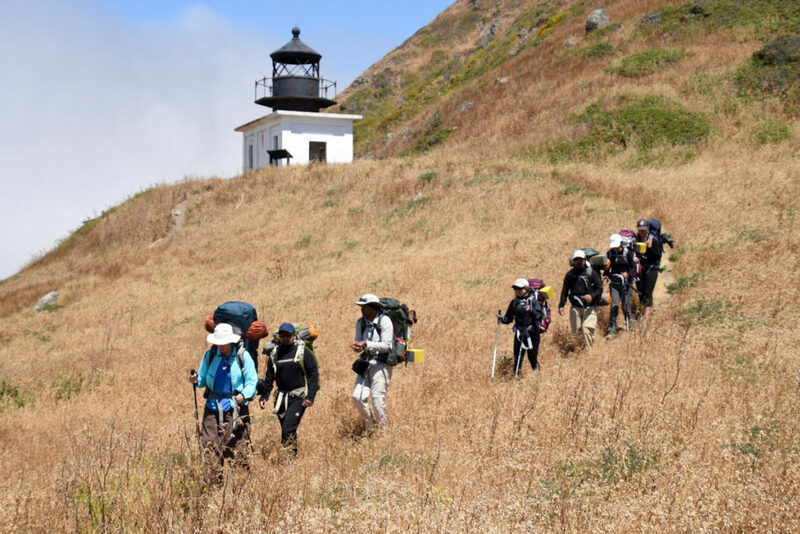 The Lost Coast Trail includes the 24.6 miles (39.6 km) between Mattole and Black Sands Beach near Shelter Cove. Remember: Check out our Trip Planner and FAQs to prepare for the best possible adventure. You can also download a map of the King Range area.